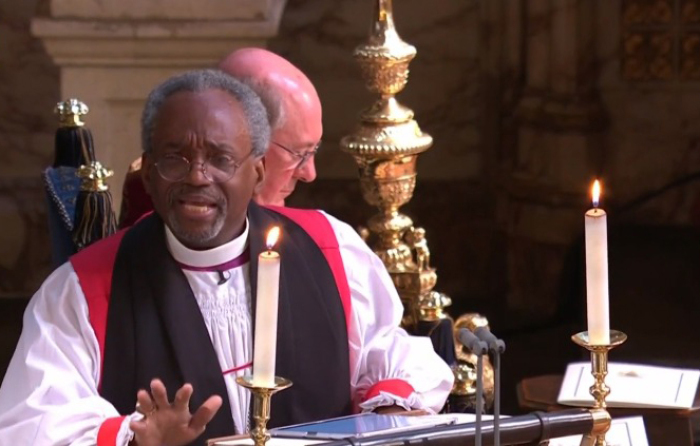 The bishop who preached on Jesus' sacrificial love at the royal wedding reminded politicians of Jesus’ greatest commandment. "Love is the only way,” he said at the time. “There's power in love. Don't underestimate it. Don't even over sentimentalize it. There's power, power in love. If you don't believe me, think about a time when you first fell in love. The whole world seemed to center around you and your beloved. Well, there's power, power in love, not just in its romantic forms, but any form, any shape of love."